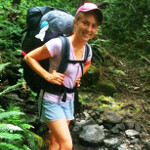 Katia Shinkle is a third-year student majoring in Environmental Science. She spends the majority of her time in the Shaffer lab working with Gary Bucciarelli. Though she is currently preoccupied with gaining a better understanding of molecular tools used within the lab, the aspects of Gary’s research that she finds most interesting are: 1) coevolutionary dynamics of predation pressure on toxin-laden organisms; 2) means of production and fluctuations of tetrodotoxin in the genus Taricha and, 3) intraspecific roles of Tetrodotoxin as a signaling molecule. Her time in the Shaffer lab has deepened her curiosity regarding herpetology and evolutionary biology, leading her to have increased interest in further involvement in research after graduating from UCLA. Ian Perrett is a fourth-year student majoring in Ecology, Behavior and Evolution with a Conservation Biology minor. He is interested in the development and execution of long-term animal field studies and their application to the conservation of endangered species. He is broadly interested in land vertebrates and has a special interest in the newts of the genus Taricha. 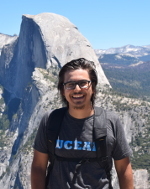 In the lab, he will be assisting in the in-situ sampling of populations of Taricha in locations across the state of California. More specifically, he is very interested in designing a study to better understand how the development of tetrodotoxin, the neurotoxin found in the skin of Taricha, is affected by environmental and physiological factors. After graduating, he plans on pursuing further education in ecology and conservation biology.